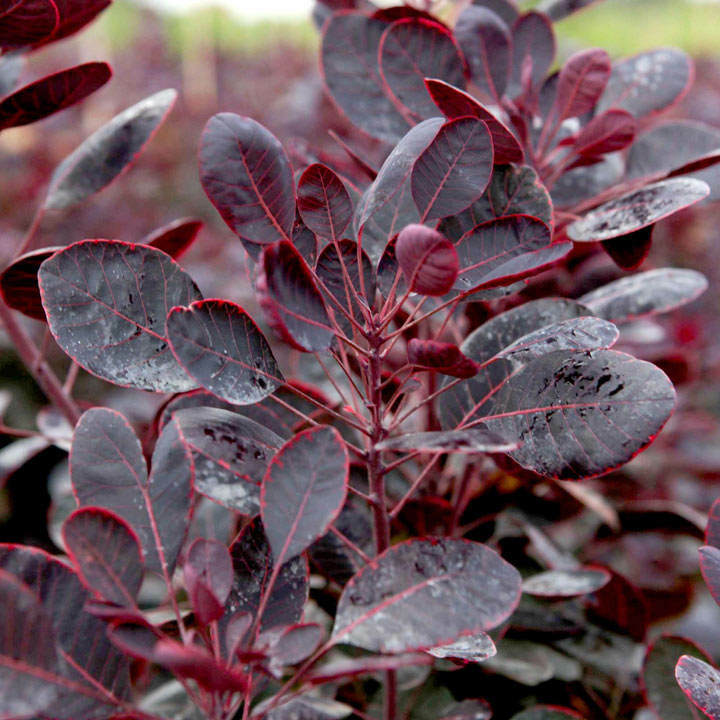 A new and attractive dwarf shrub, Cotinus coggygria 'Lilla' has deep wine red summer leaves which turn pretty shades of red, orange and yellow before falling in autumn. In the summer, it has masses of flower heads appear which resemble wispy plumes of pink smoke above the darker foliage. Flowers September-October. Height 100-150cm. Supplied in a 3 litre pot. Ideal for patio pots and containers. Prefers full sun.